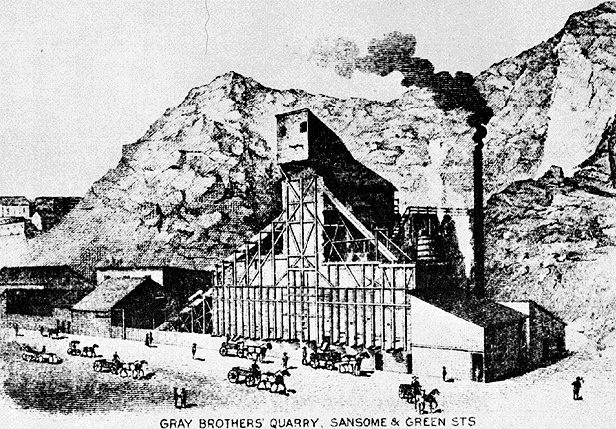 The Gray Brothers operated a quarry at Sansome and Green Streets during the 1890s and well into the early part of the 20th century. 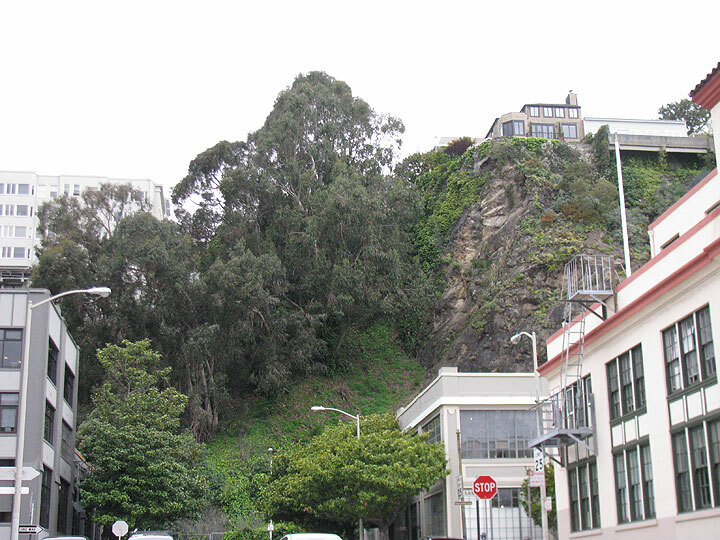 In spite of strong opposition from Telegraph Hill neighbors and local residents, including the passage of city ordinances banning the further quarrying of Telegraph Hill, the Gray Bros. continued past 1909, leaving the hill scarred and subject to winter landslides. 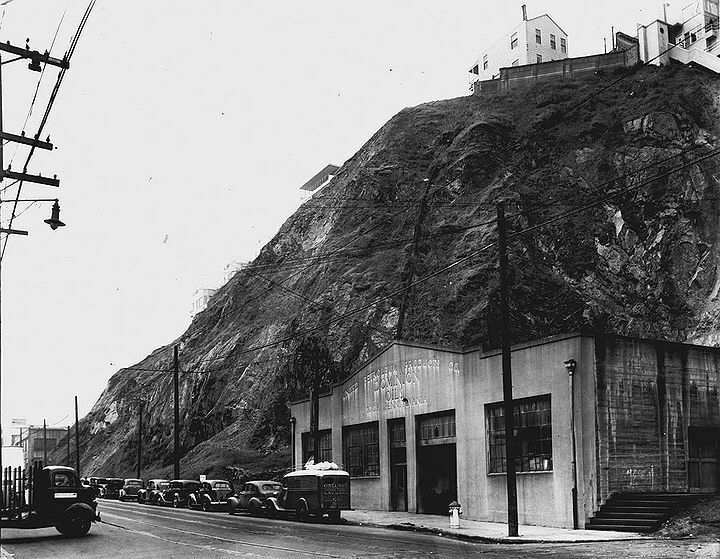 The Gray Brothers quarry left permanent scars on Telegraph Hill. 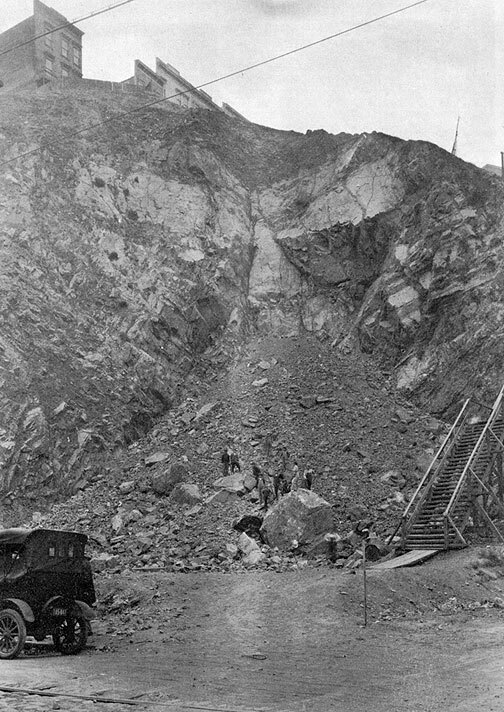 In 1924 landslides still plagued the hill regularly. Sansome south from Filbert, Feb. 17, 1942, site of quarry just beyond edge of hill, several decades after its permanent closing in this photo. 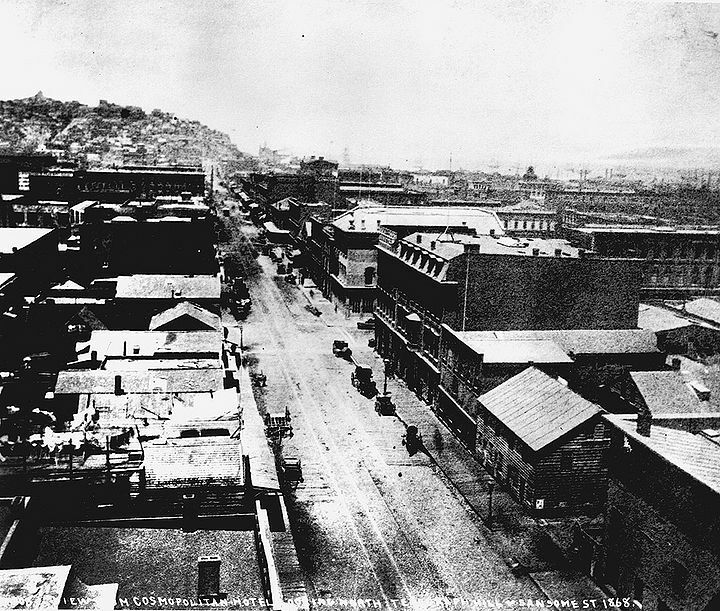 View north along Sansome from downtown in 1868 when Sansome Street has not yet been pushed through Telegraph Hill in distance. Today, the Gray Brothers Quarry sites are often full of invading plant species.